Based in Loughrea Co. Galway we have been committed to providing our customers with a top class service combined with unbeatable prices for over 18 years. 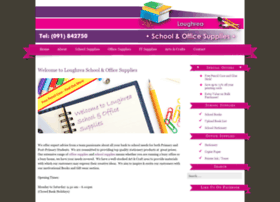 Our extensive range of office supplies and school supplies means whether you are running a busy office or a busy home (or both!) we have your needs covered.